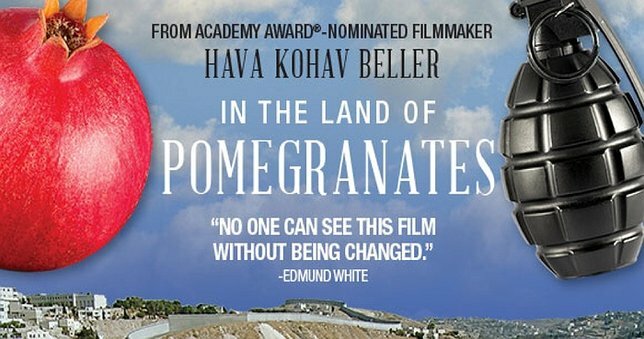 Hava Kohav Beller’s “In The Land of Pomegranates”is a thoughtful film about a group of young people who were born into a never ending war. These youthful Israelis and Palestinians are invited to join a retreat called “Vacation from War” in Germany. Here, they spend long days and nights together under the same roof attempting to understand each other’s perspectives. Through these encounters, they confront each other’s grievances and attempt to understand the many contradictions and paradoxes they face in their shared complex history. These problems are illustrated through the film’s intense footage of life in Israel and the Occupied Territories. Hava Kohav Beller is a New York filmmaker who was born in Germany and raised in Israel. Her film “Restless Conscience: Resistance to Hitler within Germany 1933-1945” premiered at Sundance and was nominated for an Academy Award. Her film, “Burning Wall,” investigated the profound dilemma of individual resistance in a totalitarian state. In 1992, she was decorated with the Commander’s Cross of the Order of Merit of the Federal Republic of Germany. “The Sounds of Film” is the nation’s longest-running film and music themed radio show. For the past 30 years, the program has delivered a popular mix of interviews and music to listeners all over Long Island, parts of Connecticut and streaming live worldwide on the internet. Past guests include director Yance Ford, Cicely Tyson, William H. Macy, director John Pilger, Carter Burwell, Laurie Anderson, Garland Jeffreys, Vanilla Fudge and Don McLean. Subject: LongIsland.com - Your Name sent you Article details of "Academy Award-Nominated Director Hava Kohav Beller on Tom Needham’s The Sounds of Film"